DR Horton’s new townhome community, Waterville, has move in ready units available. 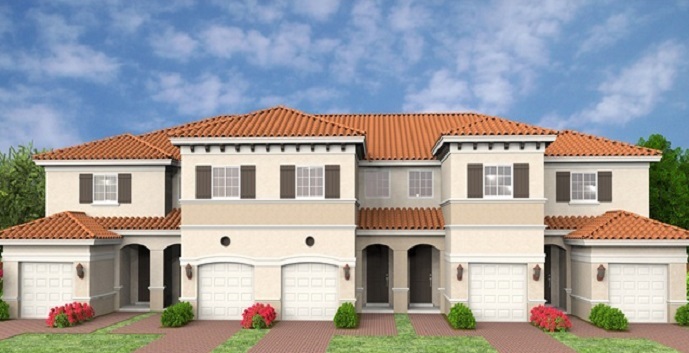 This gated townhome community located in Lake Worth has 2 different floor plans to choose from. Both designs feature 3 bedrooms and 2.5 bathrooms with 1 car garages. The homes will offer standard features such as ceramic tile flooring, upgraded appliances, wood cabinetry and brick paver walkways. Full lawn maintenance and a community irrigation system is also included. In addition to being only five miles to the beach, residents here will enjoy the resort style pool and cabana. Waterville townhomes will be offering 2 different models to choose from. Alexander Model - 2 story towhome, 2 bedrooms, 2 and 1/2 bathrooms, 1 car garage. 1,504 square feet. Crestbrooke Model - 2 story townhome, 3 bedrooms, 2 and 1/2 bathrooms, 1 car garage. 1,445 square feet.